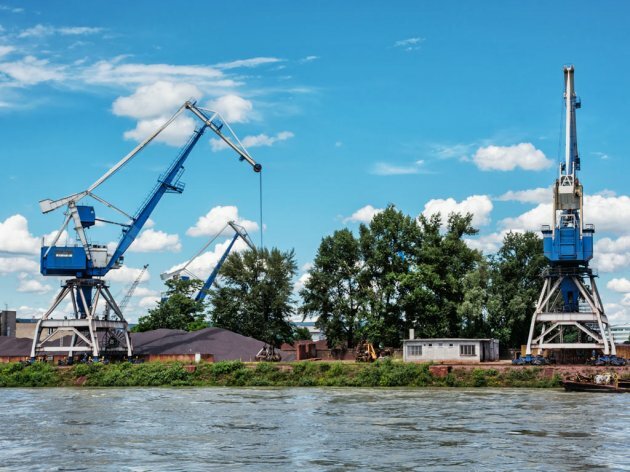 A total of 11.8 million tons of goods was reloaded at ports in Serbia in 2018, which is 11.5% more than last year, as the result of an increase in economic activities, the Port Governance Agency announced today. The most frequently reloaded goods are still gravel, sand and stone aggregates, making up nearly 26% combined. The amounts of petroleum and petroleum products have grown, making up 18.6%, whereas the reloading of ores made up 18.4%. Grains accounted for 13%. – The execution of the Action Plan for the development of water transport of the Government of Serbia and the cooperation of the Agency with the competent ministry resulted in 75% of goods reloaded in designated port areas, which is 5% more than in 2017 – the Agency said and added that, three years before, less than a half of the total cargo had been reloaded in designated port areas. According to the Agency, 1,150 cruise ships docked at the six international passenger terminals in Serbia, an increase by 15% compared to 2017, and there were more than 157,000 coast crossings, an increase by 20%. The port in Belgrade is still the most attractive one to foreign tourists, with 587 boats docked and 81,344 tourists, whereas Novi Sad and Donji Milanovac had 349 and 143 boats docked respectively. The recently opened international passenger terminal in Golubac, which started working in April 2018, ended the season with 44 dockings and over 6,000 coast crossings. The agency's plan is to open two new international passenger terminals in 2019, in Zemun and Ram (Veliko Gradiste). In 2018, the agency continued to upgrade information technologies, following the strategic goals of the Government of Serbia towards the digitization of public administration, more efficient services and simplification of business procedures. Investments in infrastructural projects and the improving of the conditions for the reloading of cargo will enable efficient river traffic of goods and passengers, to the end of having ports in Serbia become developed multimodal centers and important transport hubs in Southeast Europe, the press release says.